ChicGeek Comment Fragrances For Trumpian Times? In the modern Orwellian landscape it often feels like it’s a battle of the overly confident male egos. From Trump to Putin to Kim Jong-un, puffing your chest out and beating it hard has become an everyday occurrence. I thought - hoped - we’d left this in the last century, but it feels like we’re reliving the worst of the 20th century, every day. There’s nothing wrong with being and feeling confident. It’s what gets you ahead, or so we are told. But, a delusional sense of entitlement and pride often ends with many cases of cutting your nose off to spite your face. Last night, Zegna launched a new collection of premium fragrances. Titled #ElementsofMan, it contains 5 new fragrances named “Talent”, “Integrity”, “Passion”, “Wisdom” and "Strength". While I can see the overall idea, it doesn’t feel very contemporary. Where’s “Vulnerability” & “Sensitivity”? It feels like the Donald Trump collection of fragrances, which is ironic because Trump’s first fragrance, "Donald Trump, The Fragrance” was produced in partnership with Estée Lauder, who also produce the fragrances for Zegna. Launched in 2004, he also had others, now discontinued, called “Success” and “Empire”. He’d probably wear all five of these, layered á la Jo Malone, yet he’ll think it was his original idea. More is more when you’re reeking of “Strength” & “Wisdom”, don't you think? No room for "Arrogance"? It feels like an idea dreamt up between Lauder HQ in “Never Sleeps” New York and Zegna HQ in “Macho” Milan with little thought for the rest of the world. Successful men do wear Zegna’s clothes, you need a certain depth of pocket to be able to afford it, but let’s leave the 80s arrogance to Gordon Gekko. “Talent”, for example, in isolation just seems a little strange. My British modesty and cynicism couldn’t wear a fragrance called “Integrity” without a little smirk. Zegna is a premium menswear brand and they manufacture the most beautiful Italian clothes and fabrics worn by some of the world's most successful men. I think men today are more complex than these allow. These, at £180 for 50ml, are a premium fragrance offering, it just feels a shame that they’ve handicapped them with their names before you’ve even opened the bottle. CG: What’s your background and why and when did you start Beaufort London? LC: My background is mainly in music and I studied history at university. BeauFort London came about as a vehicle to market some homemade grooming products I was making around 4 years back. I found myself getting bored of the stuff that was available at that time and I thought I could do a better job. This project then developed into something a bit different, particularly when I started to learn about making fragrance. This area really interested me and I’ve kind of followed this path for the last 3 years. CG: Where does the name come from? 1805 is a special year for you, why is that? LC: The brand’s name comes from the Beaufort Scale which was thought up in 1805 by Sir Francis Beaufort - a way that sailors could gauge and report the wind strength. It’s still in use today. This idea of invisible strength resonates and seemed appropriate for a brand that initially was only selling very firm moustache wax. The metaphor works nicely for fragrance too. Aside from this detail, 1805 was also a pivotal year for British fortunes at sea… following the win at the battle of Trafalgar (October 21st 1805) British sea power was established and continued unchallenged for a century or so… I think these naval events still echo in the way we Brits perceive ourselves. And there’s something about the early 19th century that fascinates us - it seems to pop up a lot in popular culture at the moment. CG: How many fragrances are in the range? LC: The ‘Come Hell or High Water’ Collection consists of 5 Eau De Parfum each representing a different aspect of our relationship with the sea: Tonnerre (Trafalgar/warfare), Coeur De Noir (adventure stories / tattoos), Vi Et Armis (The opium / sea trade), Lignum Vitae (ships clocks / time) and Fathom V (The Tempest - weather). We are launching a 6th later this year too and we recently released a leather discovery set of the whole collection - refillable 7.5ml vials of each which is really popular. CG: What is the idea behind the packaging? LC: Well the caps were at one point going to be made out of pieces of old ships, but this didn’t work all that well. So, now, they are made from ash, which is a bit more stable and safer to reproduce. The boxes ended up becoming almost like books or possibly sarcophagi - this is a pretty important thread in all this. The past, history, books, it’s all in here. I like to include snippets of things I’ve read, pictures inspired by the events that inform the fragrances. Each box is embossed with a little latin phrase which I found on a medal that was given to those who fought at the battle of Trafalgar. All these little things build a coherent picture of the brand I think. CG: I like Tonnerre, which is inspired by the battle of Trafalgar, how do you get that smokey effect? LC: Lots and lots of birch tar. This is an intensely smokey material made by boiling birch sap. This has been used a lot in the past to create a ‘leather’ effect (Famously in Chanel’s 'Cuir De Russie’ - historically Russian soldiers used Birch tar to waterproof their boots). 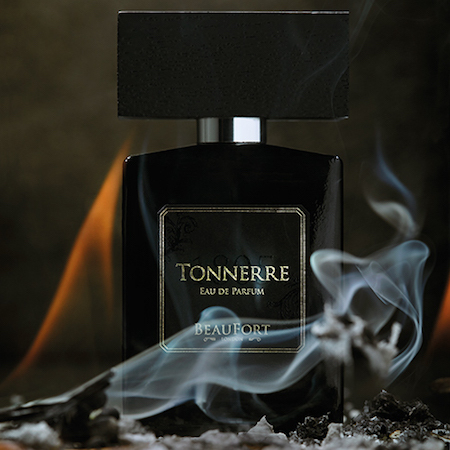 In the case of Tonnerre the perfumer uses it in far far higher concentration than anyone has before to produce a gunpowder effect. I love the intensity of it… and the smell of tar immediately reminds me of boats. CG: Any highlights from the others? What is the most popular and why do you think that is? Vi Et Armis is really popular, I think because it’s so ‘in your face’ and unusual - dark as all hell. And Fathom V is an intensely strange aquatic fragrance which seems to be doing well too. We use a lot of strong materials, a lot of wood, tobacco, spice and booze. I think people like our brand because we offer something very different to traditional fragrances. CG: You also sell other products like candles and moustache wax, how did these come about? LC: The candles were due to popular demand, we had a lot of people who loved the scents asking if we could make them, so we tried it, and it seemed to work. Again, it hasn’t really been about planning these products, they just seem to make sense, and so we do them. I like experimenting with ideas. CG: Has it been easy to produce in the UK? 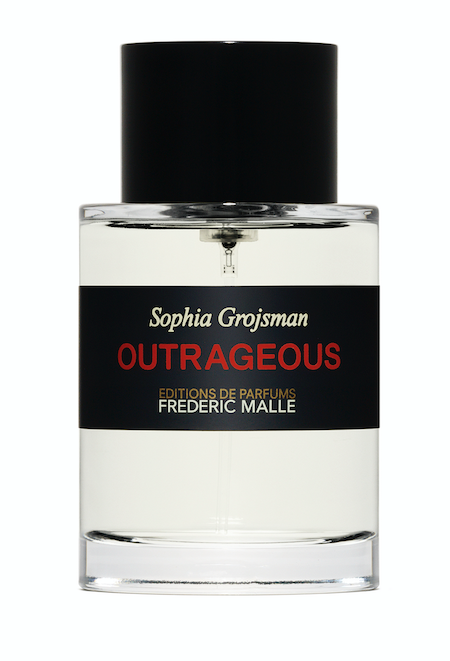 LC: The perfume industry is rooted in mainland Europe for sure, but there’s a rich history of British perfumery and some really interesting newer British brands. It was always a key aspect of this project that we would only work with British companies, and that has made things tricky (and almost certainly more expensive) at times. But it can be done, and I’m proud of it. Our perfumers are based just outside of London, our boxes are made by hand in Sheffield, our bottles are filled and packed in the Cotswolds, the candles are made in Derbyshire and the moustache wax cases were made in Coventry. CG: What do you think about the current perfume industry? Is it welcoming to niche producers? Is there too much product? LC: When I first launched the range we went to Paris fashion week to have a look around. I was talking to a guy who works for a very long established French perfume house and he said to me quite unequivocally, “now this is war”, which seemed pretty ridiculous at the time. However, as time has passed, I think he’s right. There’s so many brands all trying to get a piece of the pie and the pie isn’t all that big in the first place. New launches happen all the time and it seems like (as with everything else) attention spans are short and the temptation is to churn out ’newness’ (a word I particularly hate) to grab attention fleetingly. In the next few years, we may see some of these brands falling away as saturation point is reached. In my mind, starting a brand is the easy bit. Establishing longevity and maintaining engagement with your customer over a significant period of time is much harder… Time will tell. CG: Is there any advice you would give to men about choosing fragrance or how they apply or use it? LC: As with anything, the most rewarding experiences are those you invest some time in… do some research, get some samples of things that intrigue you. Spend a bit of time getting to know the fragrance in different environments as the best fragrances can develop massively throughout a day. Don’t rush… I’ve always said that YOU should wear the fragrance, don’t let IT wear you which is particularly important with these strong, heavy fragrances. There just too much for some people… they should blend with your character somehow rather than take over. 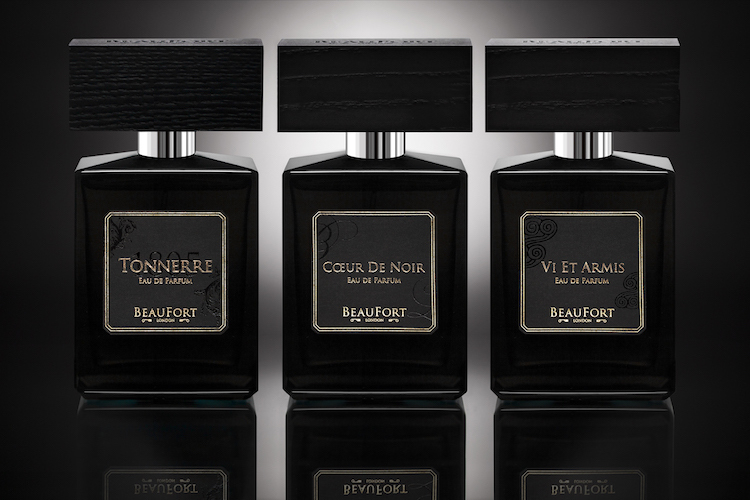 CG: What’s next for Beaufort London? LC: Put it this way, we have been researching Georgian vices… I can’t say much more than that but it’s going to be an interesting couple of years! 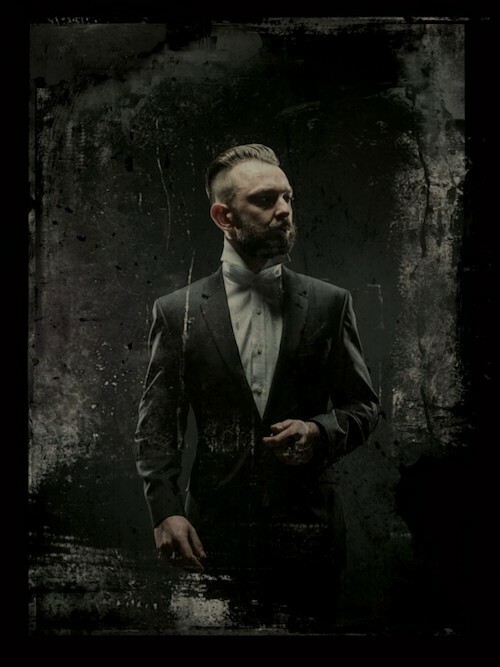 Over the centuries, the humble beard has been through many styles and transformations, but British men continue to love them and use them as a means of expressing their individuality. So far, we’ve witnessed everything from the glitter beard bomb of 2016, to intricate plait designs and wax styling wonders that would make most catwalk models jealous. Just when you think there’s a lull in beard trends, some crazy new twist is put on them to bring them back to the here and now. So, which style do you go for when it’s time for a trim? Whether it’s the artistic goatee, the traditional gentlemen’s moustache, a bohemian style with funky dyes, or the full fisherman’s beard, each of these styles have something to say about your personality. However, it appears your facial hair can also be determined by where you live. In the following infographic, not only will you learn about the most popular beard trends of 2017 in Britain, but you’ll see why those who hail from Leeds are more likely to opt for the chin curtain, those from Sheffield prefer the mutton chops look, and Geordie’s choose the goatee. Not only that, but you’ll be able to see how our facial hair trends in the UK compared to those overseas, and some handy ideas on grooming. Perricone MD has launched this new face mask that is designed to be used in the shower. How is a mask meant to be used in the shower you ask? Well, while you're shampooing, shaving, lathering up, the heat and steam of the shower activates the ‘Refreshing Shower Mask’ gel formula. And as an added bonus, it’s designed to protect your face from hot water, and the gel consistency clings to your face, so it doesn't wash away. The purpose of the mask, which has a cooling factor, is to revitalise leaving skin feeling smoother and softer, while using Dr Perricone’s Nrf2 Antioxidant Support Complex to support your skin when fighting off environmental and oxidative stress. Ingredients such as squalene and jojoba are included to moisturise and increase skin elasticity. TheChicGeek says, “Now this is a mask idea I can get on board with. Anything that is easy to use and effective will make it into a man’s regime. Men like to try and multitask, even if they are bad at it. Move over sheet mask, we’re going ‘in-shower’! Firstly, it doesn’t suggest how often you should use this, but it seems quite gentle, so I’d say maybe twice a week. It’s a green gel, not too thick, and goes on easily. It’s tempting to just wash it off, like you would normally a face wash, but you resist. Resist I say! It does also depend on how long your showers are, but by the time you’ve washed your hair and body it should be pushing 5 mins. *checks hot water bill* It does warn it may tingle in a cooling way, but I didn’t feel any reaction. It didn’t ‘set’, or change and washed off easily, which is usually quite satisfying with a mask. The end result: my face felt extra clean and well prepped afterwards”.